This easy chicken fajita burger is a delicious, family friendly recipe ready in only 20 minutes! It’s the season for cookouts, parties, and picnics! 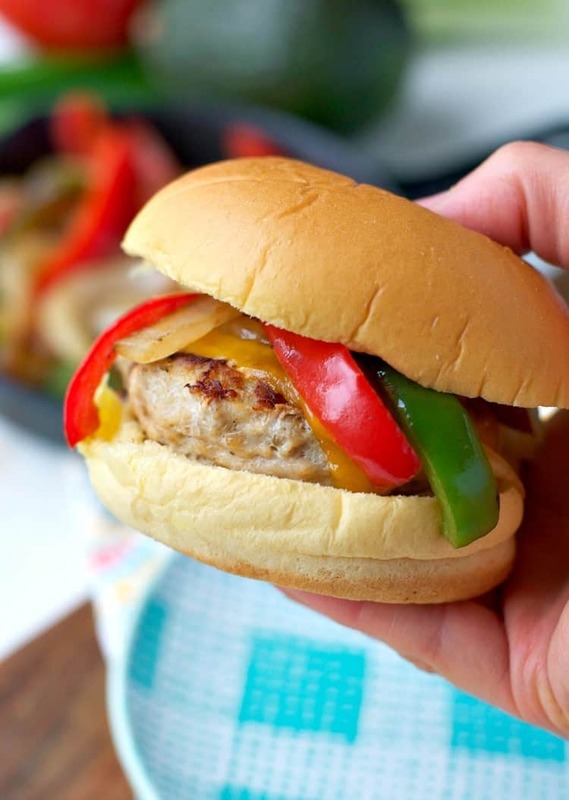 Whether you fire up the outdoor grill or prepare them in a skillet, these Chicken Fajita Burgers are an easy, family-friendly dinner that’s ready in just 20 minutes! This is a sponsored post written by me on behalf of Martin’s Famous Potato Rolls and Bread. All opinions are 100% mine. You guys!!! These burgers!!! 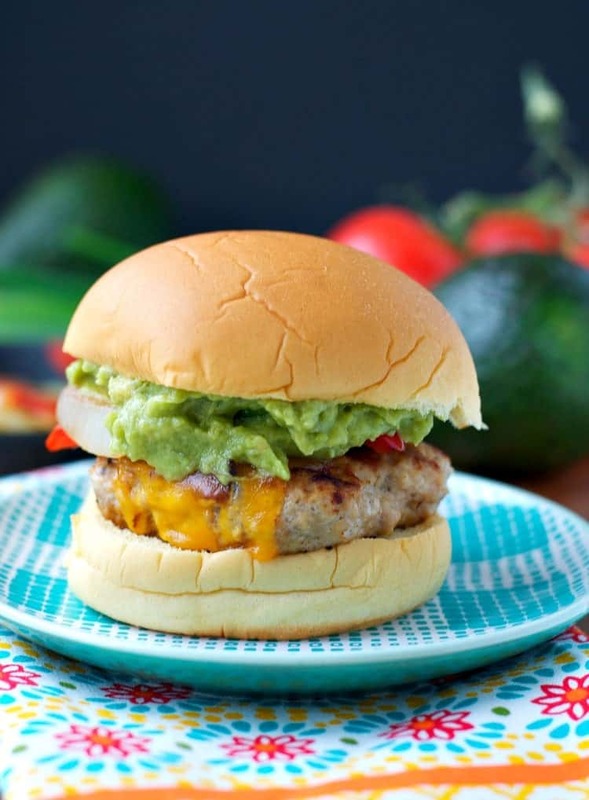 It’s like the best of all worlds — Mexican food + Grilled Burgers — all in one juicy, FLAVOR-PACKED bite! But you know what’s best of all? How EASY this meal comes together! Delicious, homemade burgers don’t have to be complicated or intimidating. 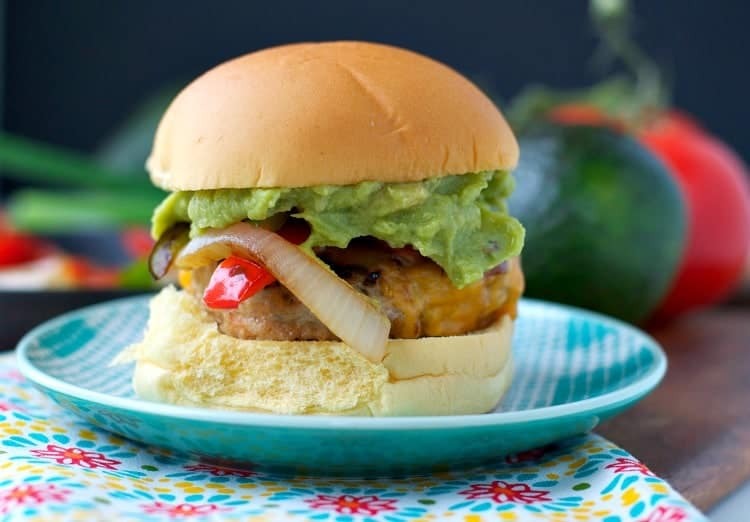 In fact, these Chicken Fajita Burgers only require 2 ingredients! TWO!!! The rest is all extra…and it’s up to you (and your kids) to customize your toppings! We all know that the most important complement to a juicy burger off the grill is a soft and fluffy bun! 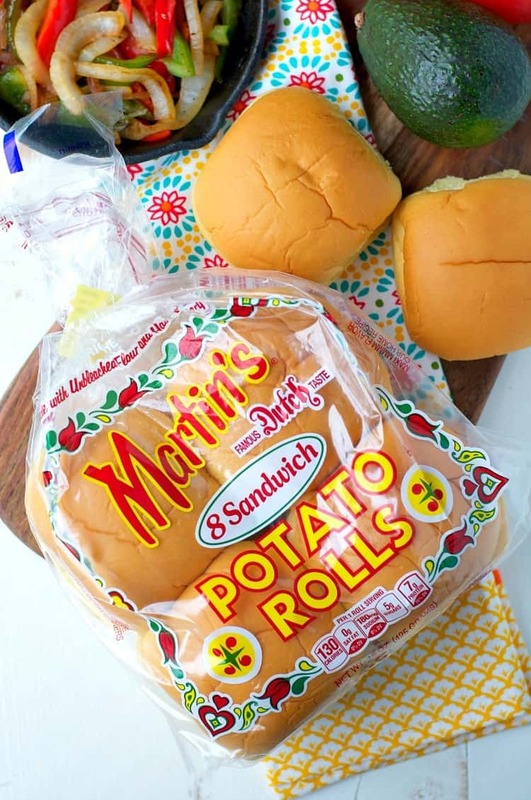 Our go-to hamburger buns (which we also use for sandwiches), are Martin’s Sandwich Potato Rolls. These are the classic hamburger rolls that we’ve used for years, but Martin’s also offers a variety of other products that can be used in many different recipes — not just hamburgers and hot dogs (think bread, slider rolls, and bite-size dinner rolls). My kids love the great taste and texture of the rolls, and I love that the family owned and operated company has removed artificial dyes, ADA and GMOs from their product ingredients. This bread keeps EVERYONE happy! With your fajita-seasoned burger placed on its bun, the only thing left to do is garnish! A slice of melted cheese is a given, and so are these sweet and tender sauteed peppers and onions! 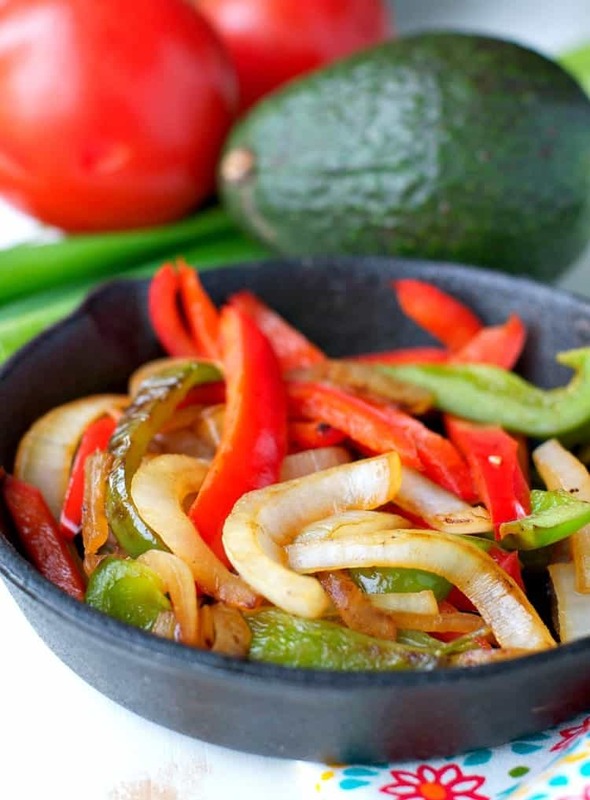 It just wouldn’t be a “fajita” without them! Salsa, sour cream, and a thick layer of guacamole are optional (but highly recommended) final additions! 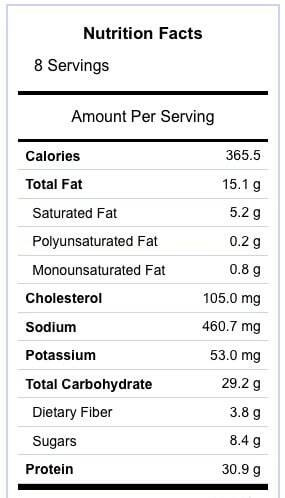 Use 92% lean ground chicken – anything with less fat than that will result in a dry burger! 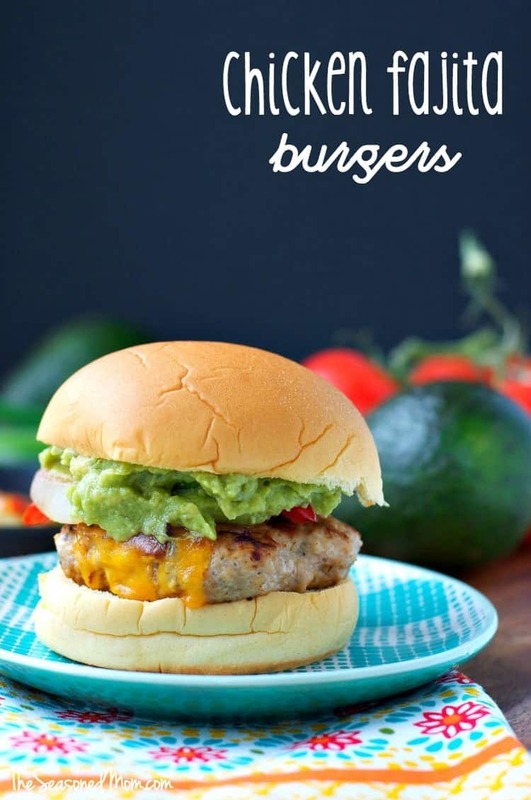 If you have a party on your calendar this season, these burgers would make the perfect addition to your festive menu! But if you can’t wait to sink your teeth into one of these gems, they also work well as a simple weeknight dinner — just 10 minutes of prep and another 10 minutes in a skillet or grill pan! Trust me…they are amazing, no matter how you cook ’em! 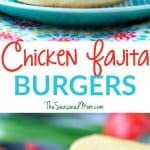 If you’ve tried these Chicken Fajita Burgers or any other recipe on The Seasoned Mom then don’t forget to rate the recipe and leave me a comment below! You can also follow me on Facebook, Twitter, Instagram and Pinterest to see what I’m getting up to. Preheat grill pan, griddle, skillet, or outdoor grill to medium-high heat. In a large bowl, use your hands to gently combine chicken and seasoning. Divide meat into 8 equal patties. Drizzle patties with olive oil (about 1 teaspoon). Cook patties about 5 minutes per side, or until just cooked through. Meanwhile, in a large skillet over medium-high heat, sauté peppers and onions in about 1 teaspoon of olive oil. Season with salt and pepper and cook until tender (about 8-10 minutes). When the burgers are cooked, top each patty with ½ slice of cheddar cheese. Cover loosely with foil and let sit for about 2 minutes (or until the cheese is melted). Just before serving, place each burger on a bun and top with peppers and onions, as well as salsa, guacamole and/or sour cream. *I like 92% lean ground chicken – anything with less fat than that will result in a dry burger! GIVEAWAY TIME!!! Plus, Martin’s wants YOU to be able to host a special “Martin’s Makes Waves” party with all of your friends and family this summer! The brand is giving away a fully-sponsored Martin’s party to one of my lucky readers! To automatically be entered in the giveaway, just leave a comment below! I will randomly select a winner on Monday, June 13. UPDATE: Congrats, MaryB! You have been selected as the winner of the giveaway! I have sent you an email! Previous Post: « Weekend Recap — Summer is Here! I am so excited that summer is finally here so that I (actually, my husband) can grill everything! Chicken burgers are a favorite of mine, so I’m loving this fajita version. Sounds so flavorful and perfect for a summer meal! Give me a burger and I’m a happy girl 🙂 These definitely fit the bill! I actually LOVE Martin’s potato rolls and I haven’t been able to find them since moving to Texas … feeling a little nostalgic right now! And also hungry. what a unique and exciting giveaway! oh my I LOVE chicken fajitas! Perfect new twist on them! Oh yum! I’m so in on these. Love the fajita toppings. I usually love the toppings more than the burgers themselves though! Funny — I’m the same way, Megan! Toppings MAKE the dish! I’ve never made chicken burgers before, but those look fantastic! I’ll have to give them a try! Thanks, Melissa! I hope that you do! It’s a great, lighter change from the standard beef! Oh these looks just perfect for summer. I have never made chicken burgers but I am DEFINITELY trying these!! Blair, you continuously rock it! Burgers ALWAYS sound good! I’m trying these for sure. Thanks for the chance to win. Congrats, MaryB!!!! You have been selected as the winner of the giveaway! I will be contacting you via email shortly! Thanks so much for stopping by! I love a good burger off the grill during the summer months! And, the buns do make a difference! I have not seen Martin’s breads in my local stores. Thank you for offering this giveaway! Thanks, Joanne! Hopefully you’ll win the giveaway and can try them for yourself. They’re the buns that we ALWAYS keep in our freezer or on our counter. Definitely a favorite! Yum ! Get in my belly ! You had me at burger ! Why are these just for kids? It all looks good for us adults also! I can’t wait to try some of these recipes! These are our favorite buns in our house! We always buy them! 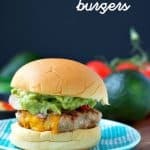 This burger recipe seems soo good too we need to make it! This looks like one yummy Burger. I’m going to make it for sure. I LOVE soft & fluffy buns! These look delicious. Summer bar-b-que and pool party coming up for the family! Exactly, Kim! I hope that you get to try them soon! This looks absolutely delicious and what a fun spin on things. All of the toppings look mouth watering! Summer is the best with all of the grilling- so much fun! I totally agree, Starla! Summer is so much fun! Thanks for stopping by! This burger looks delicious! YUMM-O! These look delicious! My mom worked at Martin’s Famous Pastry Shoppe in the 1970s. It was always such a treat to eat there. Cheese Boats were my favorite! I wish I had that recipe! No way! That’s so cool, Stacy! I bet you have so many great memories from your mom’s time there. The rolls are SO good! I’m always up for a party!! Hah! Me too, Susan! Thanks for stopping by! Thanks, Livivua! I love this time of year, too! WHAT A YUMMY LOOKING SANDWICH. GREAT FOR A BIG FAMILY GET TOGETHER. POTATO BREAD IS ALSO VERY TASTY.